Nobody else seemed to recognize LT. When I pointed him out to my friend Will, a devoted Giants fan (he said, probably only partially in jest, that he wanted to hug him) we decided to go over and meet him. What I saw strolling into HoulihanÃ¢â‚¬â„¢s was a walking, breathing embodiment of an era when sports was cool. When we wore sneakers with Patrick EwingÃ¢â‚¬â„¢s name on them. When weÃ¢â‚¬â„¢d wear our hats backwards to emulate Junior Griffey. When Jordan was God, Joe Montana was right there, and you know what? LT wasnÃ¢â‚¬â„¢t too far behind. I mean, not here for what? I just wanted to greet him and tell him I enjoyed watching him when we both were younger. Maybe I would have mentioned that he did a great job in his match against Bam Bam Bigelow at WrestleMania 11. 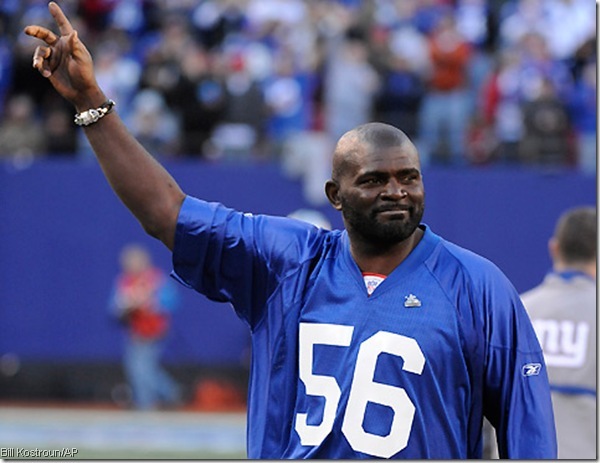 How could you be Lawrence Taylor and not expect people to come up to you if you show up at a HoulihanÃ¢â‚¬â„¢s in North Jersey? Slightly taken aback, we went back to our seats and watched LT politely greet the other people, most of whom clad in Giants sweaters, who made their way over to pay their respects. It looked as if our approach had let people know that it was okay to approach him Ã¢â‚¬â€œ ironically, given his reaction to our visit. The thing is, the more I thought about it, the more I realized that LT was there for much the same reason I was: an escape. The tuna wontons are nice, and I like watching the Dolphins Ã¢â‚¬â€œ well, some weeks. But the thing I like the most about Sunday football at HoulihanÃ¢â‚¬â„¢s is simply having a few hours when I can relax with nobody bothering me. No work, no rent Ã¢â‚¬â€œ just some time for myself where I can shut down, watch games and talk sports. Lawrence Taylor has lived his entire life in the spotlight, as evidenced from the packed stadium crowd all focused on him about an hour and a half previous to that. And yesterday, all he wanted was an afternoon in which he could eat, hang out with a friend and watch football without anybody bothering him. IÃ¢â‚¬â„¢m no Hall of Fame football player Ã¢â‚¬â€œ much less anything else Ã¢â‚¬â€œ but it sounds a lot like the reason I was there. In terms of the Colts handing away an opportunity to put together the second perfect season of all time, it should be perfectly obvious by this point that they would rather simply attempt to win the Super Bowl. ShouldnÃ¢â‚¬â„¢t it occur to the people crying bloody murder over their decision to pull their starters that a perfect season would mean much more to them than it would to the Colts? 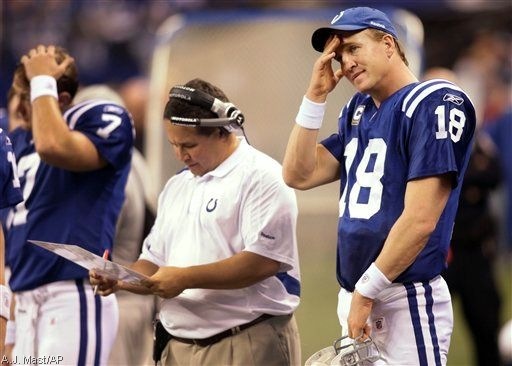 If the Colts had a perfect regular season and then lost in the playoffs, theyÃ¢â‚¬â„¢d end up like the 2007 Patriots: forever known for being perfectly flawed. And if they persisted in playing Peyton Manning and he takes the wrong sort of hit Ã¢â‚¬â€œ one is all it takes, for anyone who says he doesnÃ¢â‚¬â„¢t get hit often. 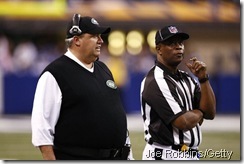 IÃ¢â‚¬â„¢m talking to you, Peter King Ã¢â‚¬â€œ then they lose their chance at a championship, not to mention a perfect season. Now, if youÃ¢â‚¬â„¢re going to ask me why they played Peyton and Co. at all if they were simply going to bench him at halftime, I couldnÃ¢â‚¬â„¢t tell you. I suspect that they had a plan, and they simply stuck to it. It doesnÃ¢â‚¬â„¢t mean itÃ¢â‚¬â„¢s a good plan, but I give them credit for doing what they wanted instead of listening to what fans, or even their own quarterback, would want for their own purposes. Despite the fact that the Colts appear not to give a damn about a perfect season, which I canÃ¢â‚¬â„¢t blame them for, to me that doesnÃ¢â‚¬â„¢t devalue the 1972 DolphinsÃ¢â‚¬â„¢ accomplishment. The obstacles in front of a perfect season do not just include simply winning all your games, it includes the risk of deciding whether to attempt the gambit in the first place. Consider it one more reason why I think the Ã¢â‚¬Ëœ07 Patriots were the last team that had a legitimate shot at completing a perfect season. Not only does a team have to be talented enough to win all of its games, but it has to be mentally tough enough to even attempt the endeavor. I recognize that the Dolphins had fewer games to play back then, and that the game wasnÃ¢â‚¬â„¢t quite as physical, so there was not as much of a reason to shut things down. But to me, if itÃ¢â‚¬â„¢s something nobody can accomplish anymore, that remains a stellar achievement to me. The Jets, despite their own buffoonery, could actually make the playoffs if they beat the Bengals, and they need to root for the Patriots. If the Pats beat the Texans in an early game next Sunday, then New England nails down the No. 3 seed, locking Cincinnati into the No. 4 seed, and giving them nothing to play for against the Jets. Obviously, the Jets would be getting extraordinarily lucky to play two teams resting their players, but at least they hung in there against the Colts long enough to win the game in the second half. But what a heartwarming story that they have hung in there and are on the verge just two weeks after their own coach proclaimed their season dead and buried. 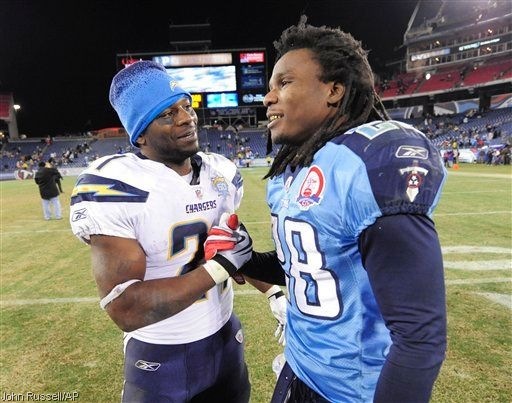 With one week remaining in the regular season, Chris Johnson needs 128 yards on the ground to achieve a 2,000-yard campaign. Given that heÃ¢â‚¬â„¢s achieved that in seven of his past 10 games, and that the Titans almost certainly want him to get there, and that SeattleÃ¢â‚¬â„¢s run defense is a middle of the pack 14th, thereÃ¢â‚¬â„¢s virtually no chance he doesnÃ¢â‚¬â„¢t notch the sixth 2,000-yard season ever. If he runs for 137, a distinct possibility, he finishes with the fourth-best season of all time. If he runs for 234 Ã¢â‚¬â€œ which is virtually certain not to happen, but he did rush for 228 in a game this year Ã¢â‚¬â€œ heÃ¢â‚¬â„¢s the greatest single-season rusher of all time. Now is there anyone out there that doesnÃ¢â‚¬â„¢t realize how much better he is than Adrian Peterson, which was my point all along? For the record, Peterson Ã¢â‚¬â€œ who is having a good, not great season Ã¢â‚¬â€œ needs an average of 382.5 yards over the final two games to reach 2,000. Note that the chart below has Johnson having played 15 games, while Peterson has only played 14. 2. Chargers (11-3) (LW: 2) Destroyed a tough Titans team. Best offense in NFL right now. 3. Saints (13-2) (LW: 2) Peaked too early? Looking beatable down the stretch. 4. Eagles (11-4) (LW: 4) Fended off Denver and still looking like sleeper SB contender. 5. Vikings (11-3) (LW: 5) If Favre canÃ¢â‚¬â„¢t beat decimated Bears team, turn out the lights. 6. Cowboys (10-5) (LW: 6) If they beat the Eagles at home, they win the division. 7. Patriots (10-5) (LW: 8 ) Brady Ã¢â‚¬â€œ remember him? Ã¢â‚¬â€œ tosses four TDs. Moss seems to care. 8. Bengals (10-5) (LW: 7) Benson (1,251 yards) like Thomas Jones: Late bloomer. 9. Cardinals (10-5) (LW: NR) Sizzling defending champs face Pack with playoff ramifications. 10. Packers (10-5) (LW: 10) Pride of Don Bosco Prep, Ryan Grant, with a renaissance season.